Siddhesh Lad played a superb unbeaten knock of 83 as India Red posted a decent enough score of 256/4 at stumps on day one against India Blue in their Duleep Trophy tie at the NPR College ground in Dindigul. They received an early blow in the day when they lost their captain Abhinav Mukund without opening his account to Jayadev Unadkat. The left-hander, who last played for the country in the Sri Lanka test series in 2017, fell to the second delivery he faced. Vidarbha opener Sanjay Ramaswamy and Baba Aparajith, who scored a ton in the first match, put on 116 runs and fell in the space of six runs as they looked set for more. 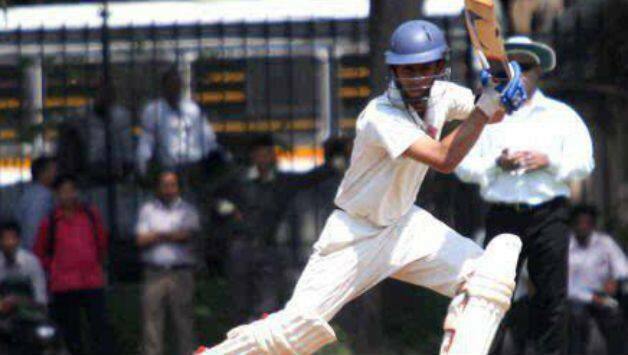 Sanjay Ramaswamy cracked 13 fours in his knock of 72 while Aparajith hit six boundaries. Lad took off after the fall of these two and put up a balanced display of aggression and caution and played good shots all around the wicket. His knock included 11 fours and two big sixes and enabled India Red reach 256 for 4 at close of play. 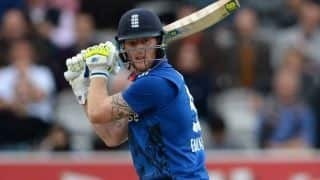 Lad, who had been named in the team for the quadrangular series in Bengaluru also featuring Australia ‘A’ and South Africa ‘A’ apart from Indian ‘A’ and ‘B’ teams, before being released to play in this tournament, made full use of the opportunity to underline his abilities. 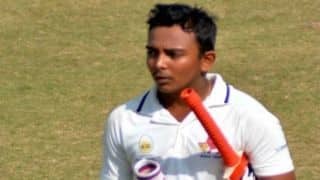 At a time when Prithvi Shaw and Hanuma Vihari were called in midway through the England tour to boost India’s batting core, Lad would look to make this opportunity count and get the selectors to notice his contributions. Brief scores: India Red 256 for 4 in 89.5 overs (Sanjay Ramaswamy 72, Siddesh Lad 83 batting, B Aparajith 48) vs India Blue.